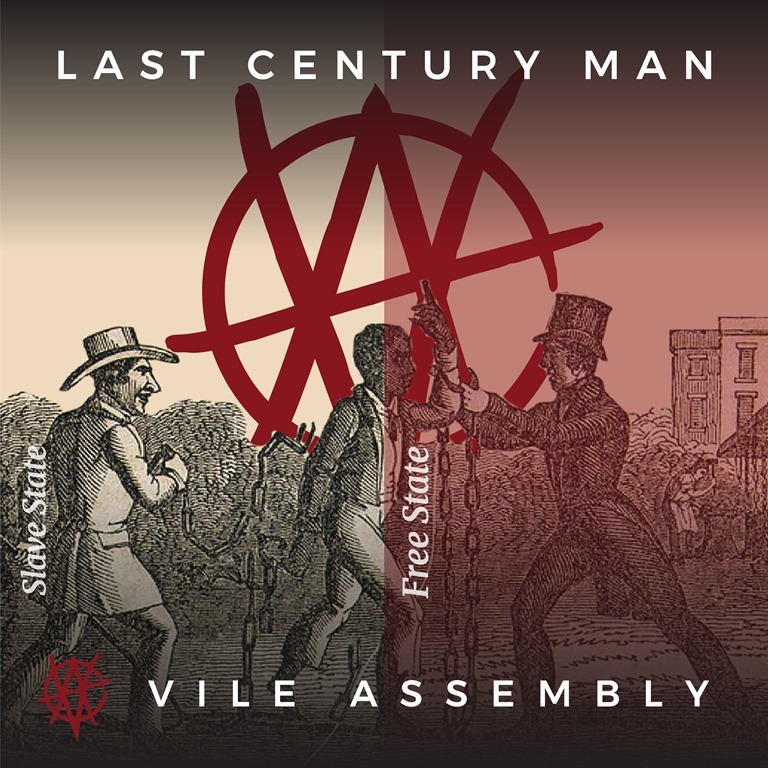 ‘Vile Assembly Unveil The Most Controversial Video of the Year,’ shouts the title of the email which crashed into my mailbox to announce the arrival of the promo for ‘Last Century Man’, the latest from Liverpudlian punks Vile Assembly. How do you possibly quantify that? Controversy requires debate, often heated, passionate, divided, and while it’s not hard to see why their clip, which intercuts images and clips of Donald Trump and The Pope, defaced with crosses, blood spatter, and swastikas, with images of Hitler are likely to spark indignation in some quarters, the fact hardly anyone appears to have noticed, let alone be talking about, the video, which was posted just over a week ago suggests that while it’s been ‘banned’ from two news networks, the controversy has so far been fairly muted. It certainly isn’t because people don’t shock or offend anymore: if anything, people in the west seem more like to be more sensitive at this point in time than any in recent history. However, the well-worn approaches to provocation, particularly when the targets are so widely unpopular. Similarly, VA may describe themselves as ‘a band for our times’ with the objective to ‘disrupt the status quo and interrupt the flow of mass indoctrination with a searing honesty designed to energise and unite,’ but ultimately, they’re just another punk band. They’re a good one, and Paul Mason has perfected a Lydonesque sneer, but retreading the ground of the last 40 years isn’t where the revolution starts in 2019.